For several years I haven't put up an ornament on the tree that I have treasured for years. I cannot remember if it was last put up in 2010 or 2011, maybe 2012 but I knew it was in my jewelry box in my bedroom along with a box containing a little bar of Avon soap in a mint holiday green. Time just flies away so quickly and there are several decorations throughout the house that have a permanent home and often I forget to pull them out but in my mind I know where each are placed. It was 1986, the last season I played my French Horn, that I received these treasured gifts. I've been searching for some things tonight and decided to look in on my horn since it missed the tree once again only to find the bar of soap safely tucked in its box but not my ornament. 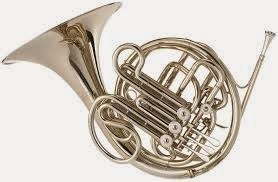 I loved playing the French Horn and these items remind of that time and my Aunt Ginny (she gave me that bar of soap that had an etching of a French Horn on it and either she or Mom gave me the irreplaceable Hallmark ornament). Somewhere, I hope since I last saw it last summer, lays my mouthpiece for the next French Horn I will play. I have hope that the ornament is just missing and I come across it as I clean and purge my house. I won't lie, I had a moment of sadness sweep over me when I realized it was missing. I'll tell you what isn't missing though are my treasures in Heaven. As much as that horn meant to me, I was reminded that greater things are yet to be. The holiday season reminds me that my Saviour came so that I could always be His treasure. Isn't that marvelous? 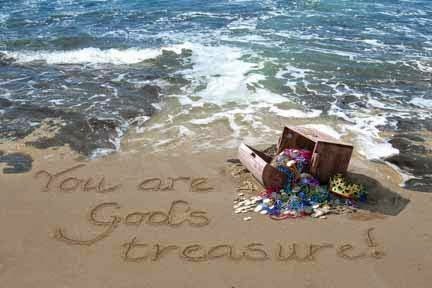 I am God's treasure and that is incomparable to a missing ornament.